Zaha Hadid has always been a subject of controversy amongst architects, engineers, critics and normal people like you and me. Although her buildings are very much different from what we were used to in modern architecture, her organic and martian-like creations have stirred admiration and contradiction on numerous occasions. Take the Dance and Music Center in Hague as an example. Its overall design is extremely different from what we are used to in modern-day architecture. She, herself, has stated that it is not “nice buildings” that she wants to make. Nevertheless, the greatest works by Zaha Hadid, which look like something created by a “starchitect” are incredible, one of a kind and futuristic. In many ways she truly is a genius, misunderstood maybe, but still, a genius. The Zaha Hadid gallery is home to a miniature metropolis, a streetplan of fantastical scale models preserved under perspex. People can’t help but feel drawn by the endless aisles of intriguing landmarks, such as the BMW plant in Leipzig. Somewhere in a corner, lies hidden a frozen avalanche of futurist geometry, that we probably could never imagine possible, and yet it is there. 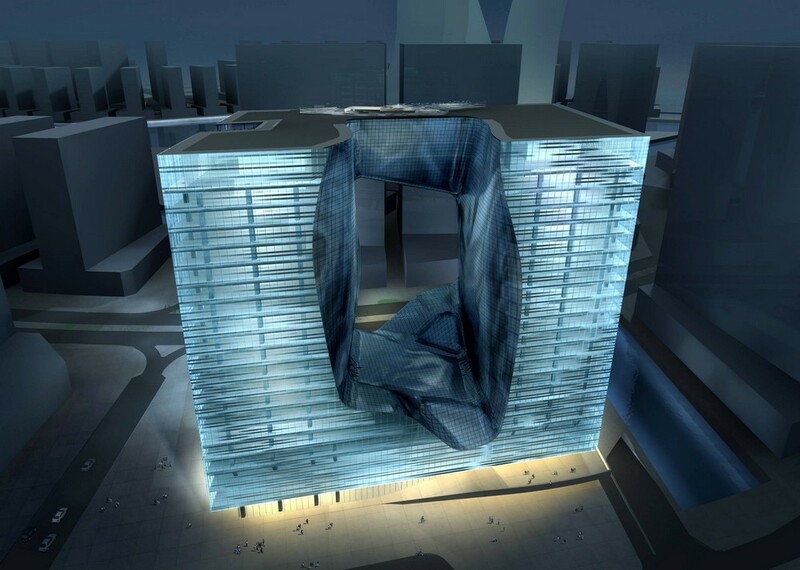 It is the design for a building in Saudia Arabia, that looks like something taken out of a Sci-Fi movie. 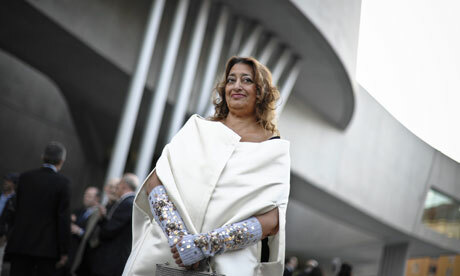 But why are we so fascinated with Zaha Hadid? Probably because she has managed to break the mold, and reinvent the world of architecture as she saw fit. The staff of this bloody-minded genius is working relentlessly, and their efforts can be seen in approximately 40 buildings that can be found around the globe. According to Architecture critic Aaron Betsky, Zaha Hadid is like a camera that perceives the city in slow motion, in jump-cuts and narrative rhythms. She is the builder of explosions made in the tenth of a second. Her impressive portfolio has gained her world recognition. One of her latest creations is the Japan’s National Stadium, which will become the principal venue for the 2020 Olympics. But before getting into any more details about, let’s take a look at the 4 most representative buildings that best characterize her style. Many may not agree with me (especially because they consider that the fabrication details on this building were disappointing), but the overall design of Galaxy Soho is outstanding. The renders are truly amazing, and the organic feel of the mall is a staple of Zaha Hadid’s designs. The building was originally designed as a 330.000 m2 office, retail and entertainment complex, and it should become an integral part of the Beijing living city. The shape of the structure, which focuses on five continuous, flowing shapes, expands harmoniously on the given terrain, without any abrupt transitions that might break fluidity. Considering that it was designed for Beijing, it has taken into consideration the traditional Chinese architecture, and this is why it expands around inner courtyards and continuous open spaces. The whole idea was to create a world of volumes that coalesce and adapt to one another. A beautiful designed that has been poorly executed, but still one of the most exciting designs by Zaha Hadid. 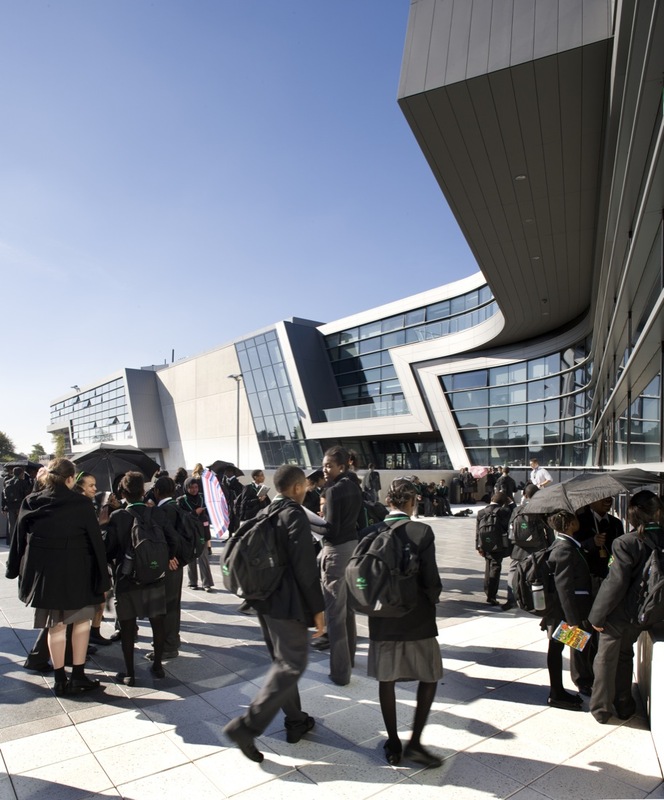 The Evelyn Grace Academy is one of the greatest works by Zaha Hadid, and it was designed to be a “cool school” that students feel proud of. Furthermore, it broadens not only the educational diversity of an active part of historical London, but also arguments the creation of a large-scale building in a highly residential area. From the volume of the structure we understand that it is an open, transparent and welcoming place, focused on unifying the community, and regenerating the urban tissue. There seems to be nothing missing from this active space, that blends beautifully with the existing urban structures, and offers more than enough space for students to feel comfortable in. 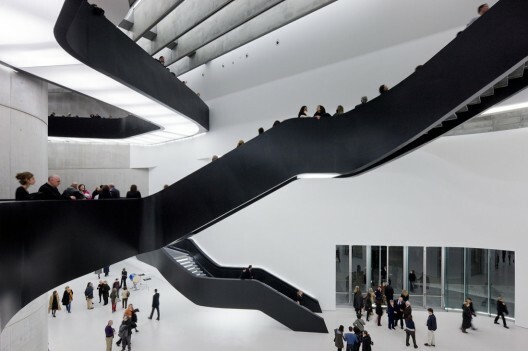 Black and white are in, according to Zaha Hadid’s Maxxi Museum – a place of enticing contrast, fluidity and culture. After ten years of hard work, this museum was finally completed, and opened on preview to the public. According to the creators, this building is not like other museums. It is not simply an “object-container”, but rather a “campus for art”. As is the case with many of Zaha’s designs, the MAXXI Museum is a dynamic and interactive space, which was designed with flexibility in mind. The continuous flow of the interiors, the openness of the ceiling (which captures natural light), the unexpected black suspended staircases and intriguing curved walls create an unmistakable type of spatiality, like a preview of the chaotic fluidity of modern life. 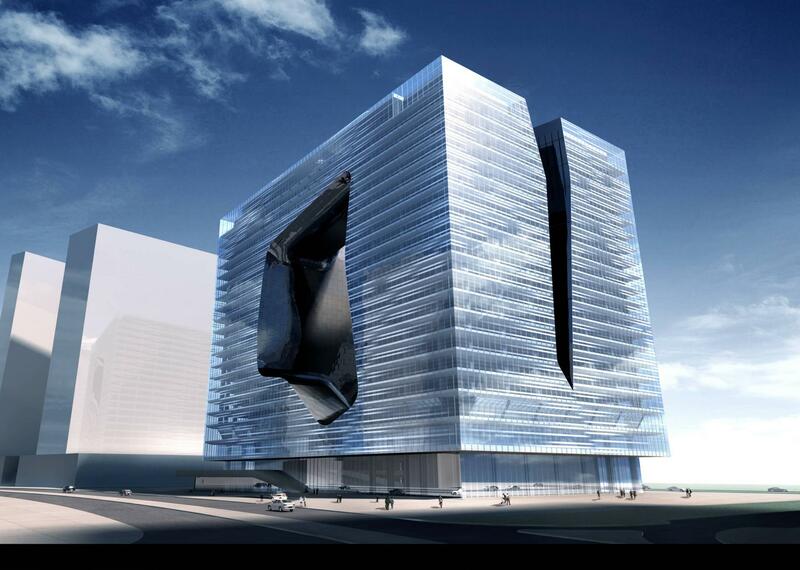 Out of all the designs by Zaha Hadid, the Opus Office Tower is the one that baffled me most. We are probably already familiar with the fluidity and deconstructionism in Zaha’s designs, but who would have ever thought that it is possible to take something as simple as a cube, and turn it into something so unique. The building is scheduled to open its doors by the start of 2016. It is basically a cube formed, structured, and molded with conventional slabs that are stacked vertically and served by a circulation core. The interesting part is, however, the middle, which has an organic form (generated by the different types of slabs). The uniqueness of the structure is complemented by lights, which help it dematerialize during night time, and a pixelated reflective facade that plays with sunlight during the day. The truth is that there are many wonderful designs created by this outstanding architect, and you might just feel that the examples mentioned above are not the greatest works by Zaha Hadid. In the end, art and architecture are subjective, and everyone is entitled to their opinion. 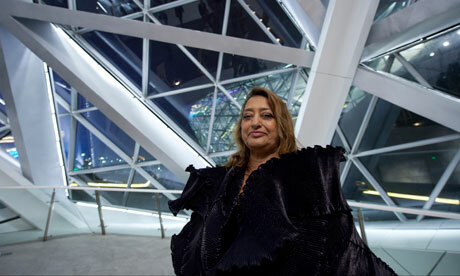 Do you like the works of Zaha Hadid, or do you consider them a little too futuristic for this age? Please share your thoughts with us.